Take a drive along Highway 101 and hit the coast! 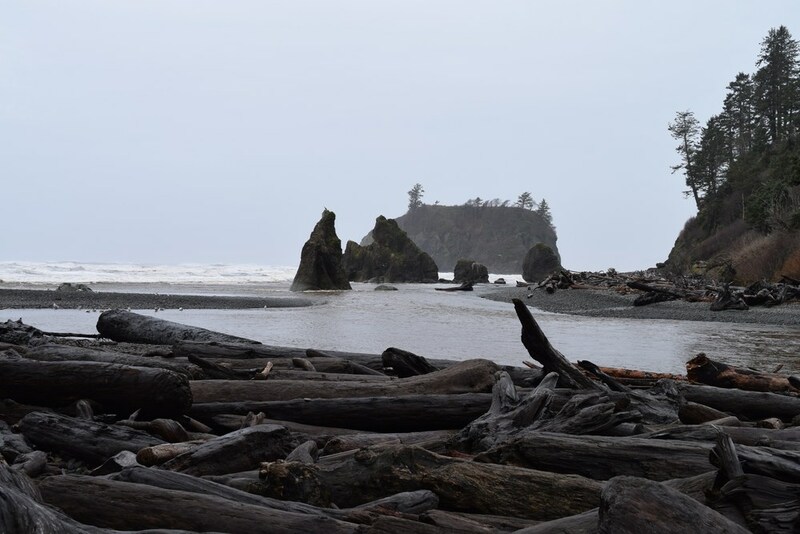 Kalaloch Beach is a great rainy day destination as it is just a short staircase to the beach, is within a 30 minute drive of both Ruby Beach and the turnoff to the Hoh Rain Forest, and it offers a beautiful sandy beach landscape decorated with driftwood. Most importantly, if you get tired of the elements, take cover and grab a bite to eat at the restaurant in the Kalaloch Lodge. Just a 10 minute drive further north along Highway 101 is the always-scenic Ruby Beach. Similar to Kalaloch, Ruby Beach is accessed via a short set of nature stairs. Ruby Beach is famous for its beautiful seastacks along the coast and gorgeous rugged coastline. Rain or shine, it is always quite the site to see! Especially with that coastal fog rolling in! Got those windshield wipers on full speed? Take the turnoff for Marymere Falls at Lake Crescent and enjoy a beautiful 1.8 mile nature loop. Hike through forests, cross rustic bridges, and ascend up nature stairs for a "front-row" view of Marymere Falls. You'll forget to complain that it is raining when you feel the mist of the falls in the air. The picture of Sol Duc Falls should speak for itself. It is my personal favorite waterfall on the Olympic Peninsula and should be on the bucket list for any Olympic Peninsula traveler. A quick 0.8 mile trail leads you into the Sol Duc river valley. As you make the descent, it is as if someone is slowing turning up the river volume as you approach the falls. Arrive at the final destination where a bridge crosses the raging river, allowing you to marvel at one of the true spectacles of nature on the Peninsula. 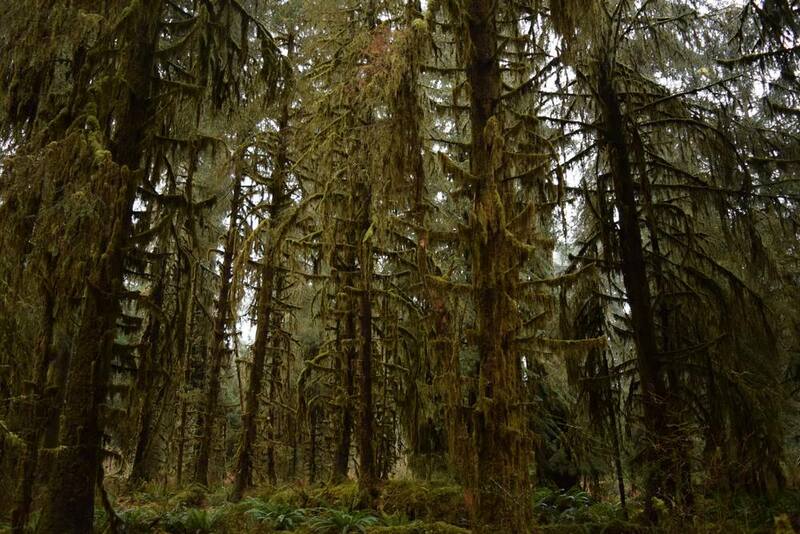 The best hike on an Olympic Peninsula rainy day? Well, how about a hike in a rain forest? The Hoh Rain Forest is truly out of this world as you walk amongst mossy, evergreen giants with green as far as the eye can see. When it is raining, you can feel the trees and plants become alive, there's nothing quite like it. The best part? You can explore nearby Ruby Beach and Kalaloch (#4 and #5) on the same day.